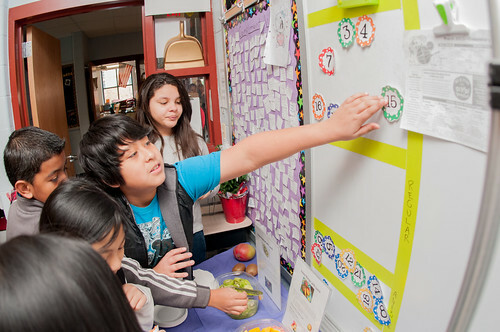 One of the common ways teachers involve students in the world language classroom experience is by allowing them choice in the kinds of assignments, projects and assessments they do. During last Thursday’s #langchat discussion, participants talked about the benefits of using choice, the important things to remember when creating choice activities and some great ideas for choice-based projects for the world language classroom. Not only is offering students choices a huge motivator, but there are a number of great learning outcomes that are related to offering alternative ways to assess or teach the same information. Higher Levels of Creativity and Thinking – Students who have unique choices to share their knowledge engage more of their creative side and learn to think abstractly. Offering choices also allows you to activate higher orders of thinking on Bloom’s Taxonomy. Instead of just having students recall or summarize concepts, they can synthesize, adapt and evaluate their information. Differentiation – By offering students choice, you are allowing them to show their learning in the way that is best for their learning style. Students who are musical learners, for example, can show their understanding of the concept by creating a song and performing it. This also works as a good tool for differentiating proficiency levels. While one student might choose to create a project that incorporates many in-depth vocabulary words, a lower-level student might be able to communicate the same information in a more basic way. Since the projects and products of a single choice assignment activity can vary so much, the big question was how to grade all of them in a fair and uncomplicated way. There were a couple of different ideas that were presented as viable solutions. If communication is the most important part of choice activities, how important is presentation? This was a comment that sparked a huge discussion, with many people sharing disparate opinions. While many teachers agreed that communication is the most important part of the world language classroom, many #langchat participants felt that it was unfair to overlook poor presentation. Although there was not a clear consensus, a number of solutions were provided that would allow students to have high presentation expectations without losing focus on proficiency standards. We’d like to thank our moderators, @dr_dmd, @SECottrell and @CalicoTeach, for guiding our lively discussion about the benefits of student choice assignments and how we assess them. There were a lot of great ideas and suggestions that we didn’t include in this summary. If you’d like to see the whole conversation visit our online archive. What questions do you have about teaching world language? We love to find out how our PLN can serve you better. If you have any ideas for future #langchats, share your ideas online! Your question might be the answer to someone else’s problem. — Does this mean students can order from a menu and pay for their meals, using culturally appropriate language? — Does this mean students use correct grammar/spelling/accent marks? — Does this mean correct use of language on crumpled paper is better than polished, well-planned project with mistakes in language? Thank you for this post. Very interesting suggestions and reader feedback.